Whether you’re flying in on an Airbus H130 or H125 helicopter, or taking a wicked road trip through the winter wonderland of the Ötztal Valley, when you arrive at the luxury ski hotel in Hochgurgl you’re right in the heart of the Obergurgl-Hochgurgl ski area. Skiing at up to 3,080m above sea level? Fresh oysters, Champagne and incredible views of 21 glaciated three-thousanders from the hotel bar? Unwinding in the outdoor infinity pool, metres away from the carvers on the slopes? Yes, please! 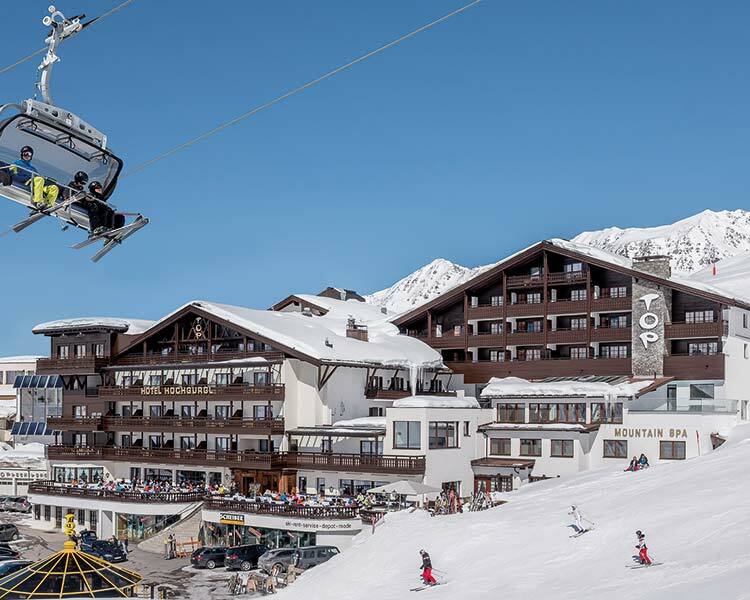 TOP Hotel Hochgurgl, nestled at 2,150m above sea level, is the whole package… the highest 5-star superior hotel in the Alps, the highest Relais & Châteaux hotel in the Alps and the Ötztal Valley’s first 5-star superior hotel. It’s your luxury ski and spa hideaway in the Tyrolean Ötztal Valley. Start the day by taking in the stunning views and soaking up that morning sunshine from the balcony, before making a beeline for the (heavenly) homemade French toast at breakfast! Then it’s time to buckle up and hit the slopes! 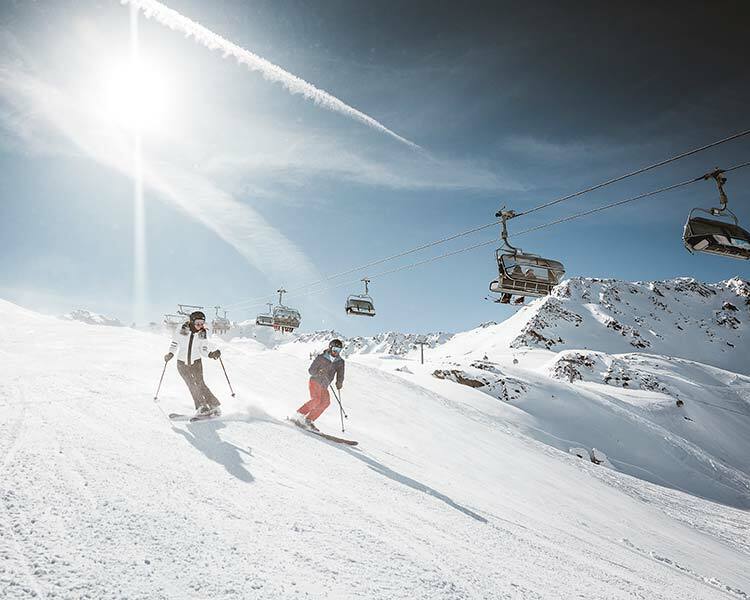 Skiers are in for a real treat at TOP Hotel Hochgurgl, the ski-in & ski-out hotel gives direct access to 112km of perfectly groomed slopes with fresh mountain air and carving on up to 3,080m above sea level, what more could you want? But what about your ski equipment? Pre-order everything you need before you arrive and it’ll be ready and waiting at the TOP Hotel for you! 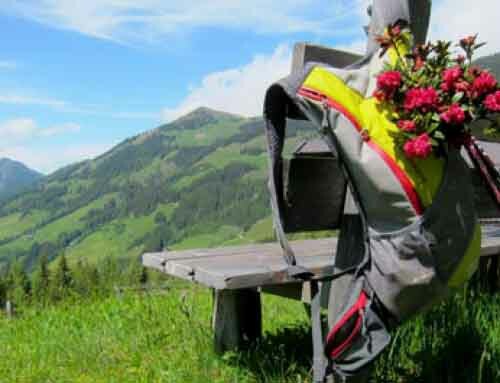 Buy your ski passes and skiing lessons at the hotel and store your equipment at the Scheiber Sport ski depots. It’s a super simple skiing holiday. Now, once you’ve burnt off all that energy on the slopes, take a break at TOP Mountain Star’s panoramic platform at 3,080m altitude. Incredible views guaranteed! Ski back to the hotel and hop straight into the heated outdoor pool… it’s the perfect antidote for tired muscles. Experience endlessly relaxing views of the summits in the 2,200sqm TOP Mountain SPA. From swimming a few lengths in the 10m x 18m indoor pool or relaxing in the Jacuzzi, to turning up the heat in the outdoor sauna, Finnish sauna, bio sauna, infrared cabin, steam room or the herbal bath, the wellbeing facilities at TOP Hotel are second to none. 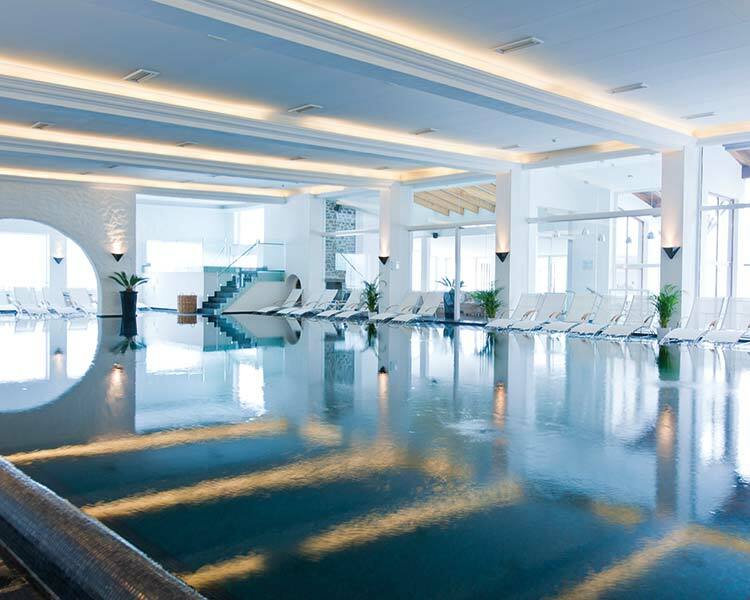 The saline steam room is a balm for the lungs, like a long walk in the sea air… Luxury for body, mind and spirit. Why not treat yourself to an anti-ageing luxury beauty treatment? You deserve it! The highly effective spa treatments encompass facials, body treatments, medical anti-ageing cosmetics, REVIDERM dermo-cosmetics, massages, body styling, nail care and aesthetic cosmetics. Then why don’t you get ready for the evening with a new ‘do in the in-house hair salon? Only 100m separate you and your first-class breakfast and the Grosse Karbahn. And yet (almost) everyone takes their time! Every morning until 11am, the Schalfkogel’s exquisite interior transports you to 18th century Bavaria for an extensive gourmet breakfast buffet including à la carte creations. While the Tyrolean Jagdstube transports you into 12th and 15th century Italy. The cuisine? 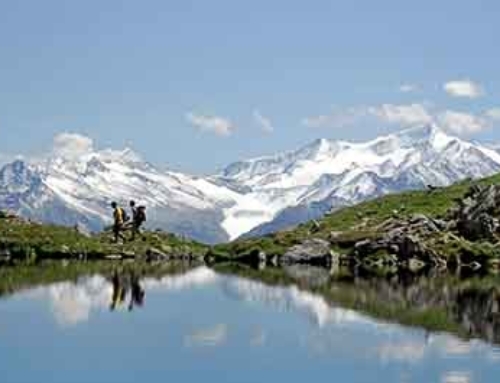 Fine Alpine flavours and regional organic products combine with international creations. Exceptional, down-to-earth, versatile and exquisite. Awarded 90 points in the 2018 Falstaff restaurant guide. Whether you fancy the superb 8-course Relais & Châteaux Dîner, light wellness cuisine, or you’ve got a special diet – lactose-free, gluten-free or vegan – the hotel’s chefs prepare everything with great attention to detail. 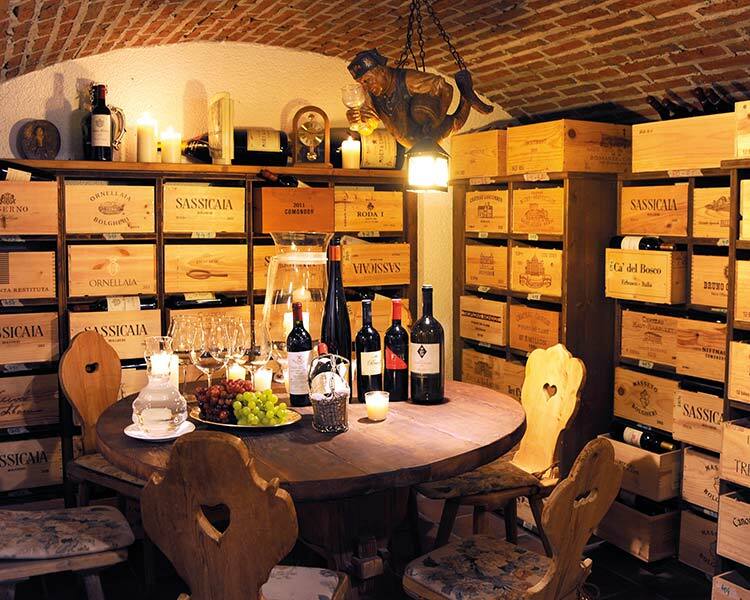 500 bins with special rarities, stored in one of the Alps’ highest wine cellars… but how many can you taste? Exquisite, mature and fine – the wines from all over the world include Sassicaia, Ornellaia and Château Petrus. Wines are perfectly matched to the TOP gourmet half board’s 5-course dinner with a choice of three hors d’oeuvres, two soups, two hot entrées, four main dishes and two desserts. Oysters as an appetiser? Dinner à la carte, flambéed or carved at the table? Or conclude the day’s skiing with fondue bourguignonne, fondue chinoise or a salt stone grill? The exclusive cheese selection is supplied by Mâitre Fromager Günther Abt. Culinary delights at the TOP Hotel are as unique as the flavours themselves, whether from the in-house patisserie, oyster bar, sun terrace, après-ski bar, or late at night in the fireside bar. Live music, dancing, delicious drinks and a great atmosphere beckons… we’ll meet you at the bar! 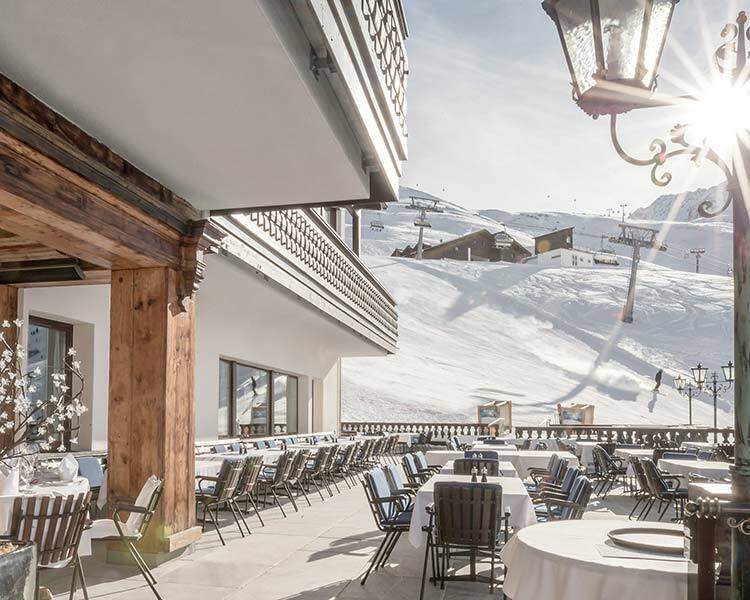 The ski in & ski out hotel’s charm reflects dignified tradition, Alpine flair and cutting-edge hospitality at the Relais & Châteaux 5-star superior hotel. Guests can relax and dream in the romantic, rustic or modern rooms, apartments and suites. 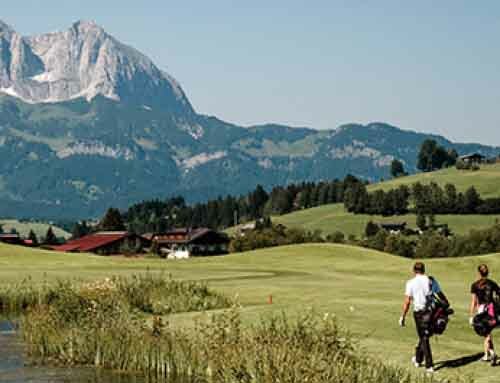 The culinary delights are aplenty with gourmet cuisine, sweet temptations from the hotel’s own patisserie and rare wines from one of the Alps’ highest wine cellars. Guests can dine in the restaurant, in one of the rustic Tyrolean Stuben, on the sun terrace, at the oyster bar or in the fireplace bar. 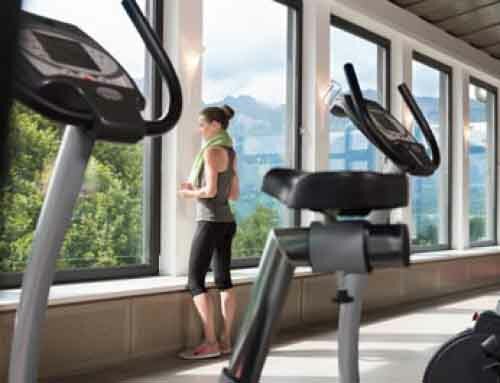 There are endless opportunities for relaxing in the TOP Mountain SPA with 360° views of the Ötztal mountains from the heated outdoor pool, an indoor pool, sauna area, superb treatments, anti-ageing cosmetics and a fitness centre.